The New Year is all about potential! It’s the opportunity to change a part of your life for the better. World’s Best Cat Litter™ is dedicated to helping cat owners simplifying the dirtiest job in cat care, but we’re always striving to find new ways of making life better for people and their pets! Here are some New Year’s Resolutions that can help you and your feline start off on the right foot … or paw. Creating better eating habits is one of the most common resolutions made (especially after all that holiday snacking! ), but in 2012, remembering this simple tip can help your feline eat well too: Cat food is already formulated with the vitamins, amino acids, and minerals cats need to have healthy diets, so anything extra should be considered a treat. Here are some feeding tips from the Cornell Feline Health Center. Regular activity is good for almost all species, and every January, gyms across America are packed with people trying to shed some extra weight and be more fit. But did you know that cats need regular exercise too? It’s true! Playing with your feline is a fun way to get their heart rate up and keep them feeling engaged and youthful. Try keeping toys around different parts of your house for a quick game. And don’t be afraid to get on the floor either—the more interactive you are, the higher both of your pulses go! If you’re jumping on the treadmill, consider how your indoor kitty can get in its workout too; whether it’s a simple ball of yarn or something more elaborate like this! Is This the Year You Quit Smoking? We hear a lot about second hand smoke being bad for humans, but it’s bad for your pets as well. Cigarettes contain more than 4,000 chemicals (including carbon monoxide, formaldehyde, nickel, chromium, benzene, and vinyl chloride), all of which your cat breathes in every time you smoke. Some cigarettes even contain high levels of arsenic! If you thinking about making 2012 a smoke free year, you and your cat may feel a whole lot better. Trust us, they’ll love you for it. We all get grouchy from time to time, yet when the clock strikes twelve, we’re given a clean slate and the chance to actively be more polite to others. Sometimes, our cats need help with their manners too. 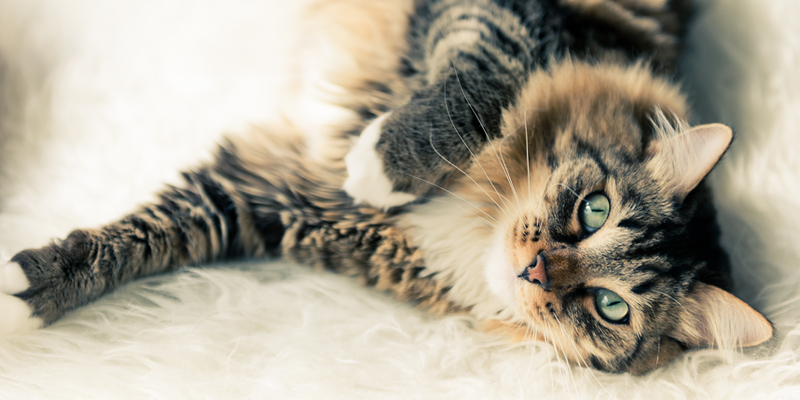 A simple way to make sure your cat doesn’t form bad habits is to not reward unwanted behavior. Don’t give in if they beg for food off your plate! No belly rubs if they climb into a spot they shouldn’t be! Soon they’ll learn the boundaries, and you and your cat will both be happier because of it. What About Spending More Time with Loved Ones? Life can sometimes get in the way of spending time with those we care about most. Setting aside special hours to cuddle with your kitty is an easy and fun way to ensure you and your cat have a great 2012. And there are more benefits to spending extra time with your cat than simple joy! Making your feline part of your routine will help you both be happier and healthier, which should be part of everyone’s New Year’s Resolutions. What New Year’s Resolutions do you have for your cat? Share your sthem below! Finally, as you head into the New Year, make sure World’s Best Cat Litter™ is part of your resolution to simplify litter box cleanup! Here’s to a Hassle-Free and Healthy 2012! LET THE OLYMPICAT GAMES BEGIN!